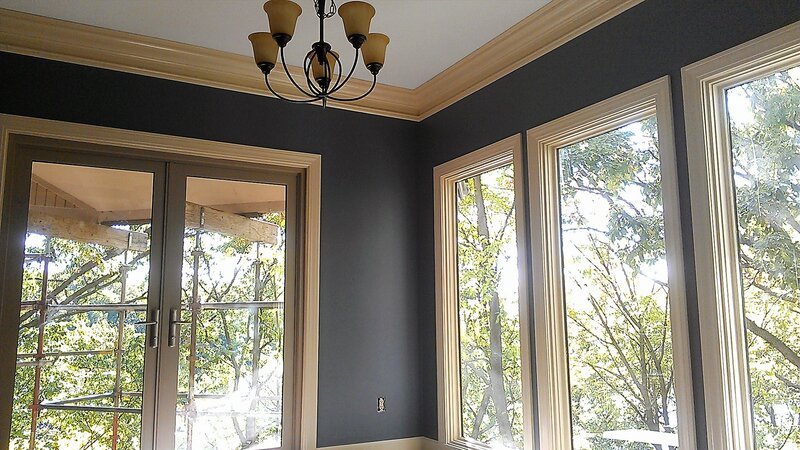 Trim Painting That’s Smooth as Glass…Using a Brush! When it comes to painting your interior trim work and doors nothing compares to the silky smooth finish that only a paint sprayer can deliver. 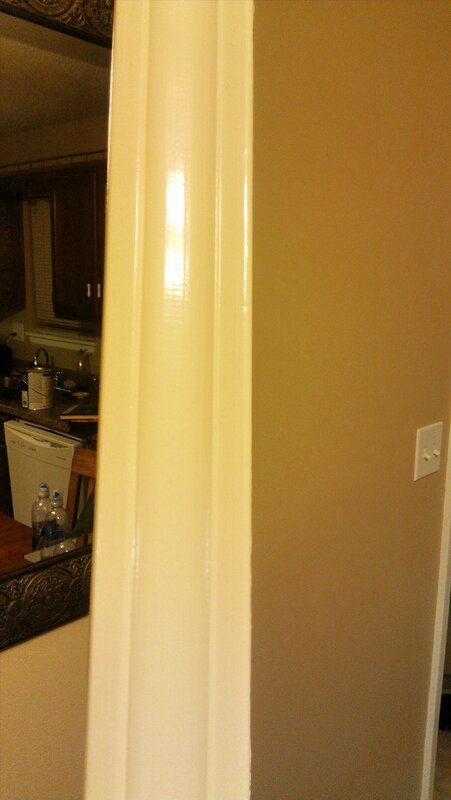 Thanks to advancements in painting tech, elegant finishes are achievable when spraying isn’t a viable option. In this article I will share with you some great products and tools that will breathe new life into your old worn looking trim. You’ll be amazed at how a seemingly small improvement will dramatically renew your home’s beauty. Before I get into all of that, I want to show you some before and after pics of an interior painting project my company did recently. I’d like to focus on the trim specifically. Here is a closeup photo I took of a piece of door casing using a brush only. Traditionally, to achieve a finish like this you would have to use an oil based paint. Oil bases on trim were great because of their ability to reduce brush marks when used. The oil in the paint “levels” or fills in the gaps where your brush made contact with the surface of what you were painting. (Personally I don’t like using oil base, it’s messier and harder to clean up). Another irritant to me is that oil causes what’s known as “drag” when brushing. Drag is just what it sounds like. When you’re painting, it feels like someone is trying to stop your brush from moving easily. It seems like you expend more effort loading up your brush than you do actually painting. SO….now that I’ve confessed my sin of being an oil hater….Let’s move forward into what the future holds. Because as I said, tech is here! A water based paint that performs like an oil. Without the mess. Yeah! (I would argue you achieve a better result when having to brush with this product than with an oil base.) In all honesty, it does have a slight drag just like an oil, but not as bad. 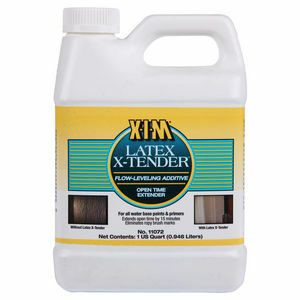 XIM makes this extender specifically designed for latex paint to ease the flow when brushing. Now that we’ve got the right products, we need the right weapon to apply them. 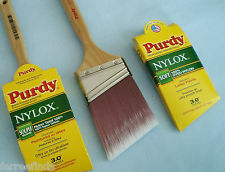 My choice: Purdy’s 2.5 in. Angled Nylox Brush. Why this one? Well for me, this is my day in, day out cut in tool. Besides cut in’s, I use it on trim as well. It is by far the most versatile brush in my arsenal. It loads up well so you can move some paint, but what I love most is how super soft the bristles are. That’s what you want to help reduce brush marks! Combine that with the self leveling feature in Sherwin-Williams Pro Classic and you can’t go wrong. As for cutting, you can get the bristle tips down to about an 1/8″ for laser like precision cutting. I wanna go paint something just thinking about it! Before ripping into a full blown project I would do some practicing on scrap pieces of casings and base moulding. They generally come pre-primed. If the pieces you select are bare wood, you will need to prime them using a wood primer. (I would suggest priming the pieces even if you bought the pre-primed variety) You can purchase both of these at your local big box store. Let’s begin with technique: Assuming your test piece is already primed, sanded, and ready to paint. 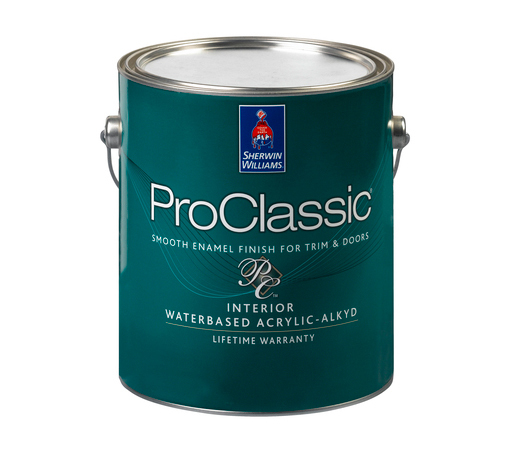 If you find the drag in Pro Classic to be a problem, add some of the XIM latex extender to your paint and stir it up. You’ll feel it loosen up as you stir. 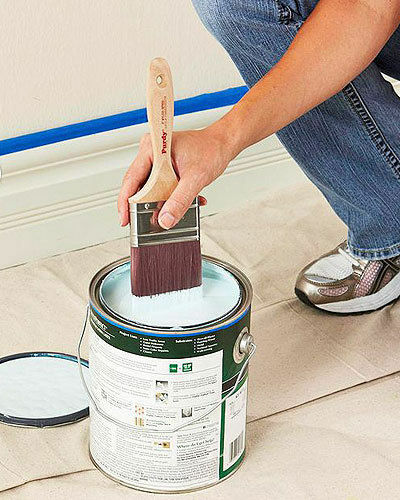 You don’t want to add too much so that the paint becomes runny. You want the paint to have some “body” to it. It’s best to follow the directions on the extender as to know how many parts to use per gallon/quart of paint. Load up your paint brush and hold the trim piece. Start at one end of the piece (I’m a righty so I like to work from top to bottom while holding the work in my left hand) and brush the paint laying it on using somewhat heavy pressure, to move it in long strokes. Be sure to cover all the nooks and cranny’s of the surface with paint. Once you’ve got the piece completely covered, start at one end and make two to three passes using lighter pressure to get good coverage and remove excess paint. Finally make one long final pass the length of the piece using light and I mean light, pressure to finish the layoff. It’s important that you don’t over brush the work. Remember, every time you lay that brush down you’re putting more trails into the paint. Then let the magic of Pro Classic do its work! With a little practice you’ll achieve beautiful results that you can brag about to your friends. Or if your afraid you’ll have parts left over, you can always hire me to do it. Have a great day, and happy painting! 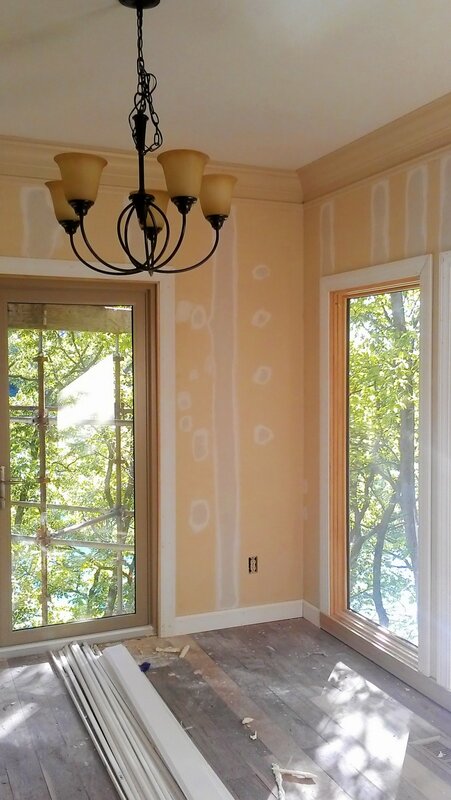 This entry was posted in Drywall Construction, Interior Painting and tagged brush marks, home improvement, interior design, interior painting, interior painting project, kansas city painters, kansas city painting contractors, paint brush, painting, trim painting, XIM. Bookmark the permalink.